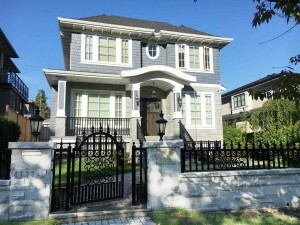 Mount Pleasant is one of the largest areas in Vancouver and contains the most diverse collection of houses, townhomes, ½ duplexes and condos in all of Vancouver. It encompasses both Vancouver East and Vancouver West. Because of the large scale of the area there are well established communities that are all very different in their own unique and positive ways. The communities within Mount Pleasant are Mount Pleasant – Cedar Cottage which is south of E Broadway to East 21st Avenue. SoMa (translates to South of Main with the general area being at E Broadway & Main St), Strathcona, Chinatown and Mount Pleasant West Side. When understanding Mount Pleasant one must have a look at each of the communities within the area. The southern section of Mount Pleasant that encompasses Cedar Cottage is from East 10th Avenue to East 21st Avenue and Fraser Street east to Clark Drive. Some of the most beautiful streets in Vancouver are in this community. This area is very popular with young families and has one of the more popular school catchments for Charles Dickens School. There are some great parks in this area that include Sunnyside Park, Clark Park and Robson Park. The majority of types of housing in this area are single family detached houses and ½ duplexes. There are almost no condo developments until you reach Kingsway or travel along East Broadway. For more information about Mount Pleasant Parks click here. Strathcona is one of the oldest areas of Vancouver. It has a strong community comprised of artists, young professionals and long-time residents. The neighbourhood zoning is strict to retain the heritage style housing maintaining the beauty of the streets. Most of the single family houses, ½ duplexes and townhouses are on smaller 25 foot lots which adds to the charm. If you enjoy walks, I highly recommend spending an afternoon casually strolling through the neighbourhood and visit MacLean Park, Wilder Snail Neighbourhood Grocery, and Union Market. This area continues to be one of the more beautifully retained heritage neighbourhoods in Vancouver with easy access to Downtown and Commercial Drive. For more information on Strathcona visit their website by clicking here. Chinatown has gone through some changes in the past 5 years but it continues to retain its rich history and culture. Many new shops and trendy restaurants have opened with a surge of popularity that has revitalized the area. In addition, new condominium developments like Frameworks, Ginger, and V6A bring a new energy to Chinatown. The City of Vancouver zoning by-laws intends to retain the old heritage buildings in the neighbourhood, this has led to developers to look eastward to the neighbouring sub-area of Hastings for new builds. This neighbourhood runs from 16th Avenue north to 6th Avenue and from Cambie Street east to Ontario Street. There is a mix of houses, condos, lofts and businesses. The most sought after area for housing and community is from 16th Avenue to 10th Avenue and from Cambie Street east to Ontario Street. 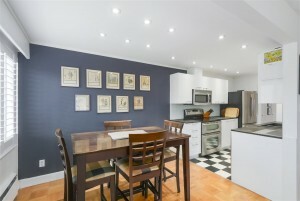 In this area you will find beautiful tree lined streets with a mixture of single family houses, duplexes and townhouses. The prices of these properties are more expensive simply because of the area being on the West Side.